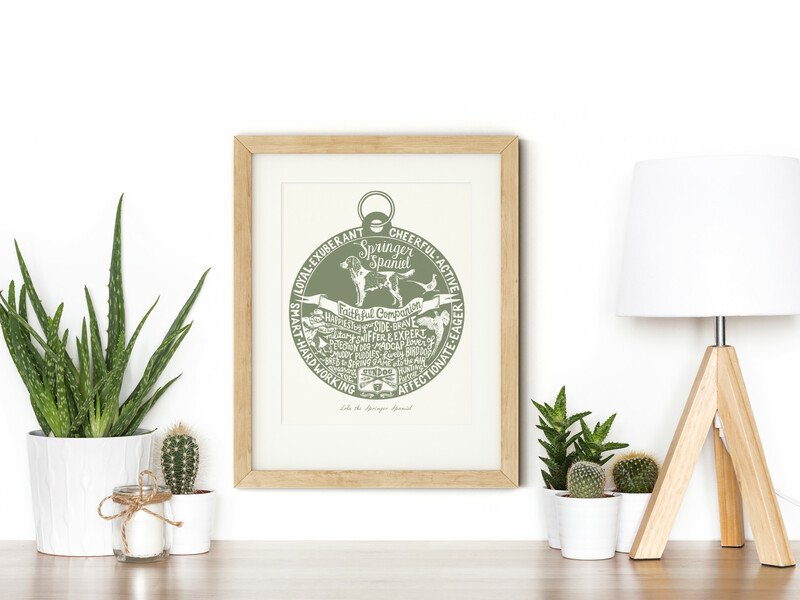 This print combines hand drawn lettering with illustration. 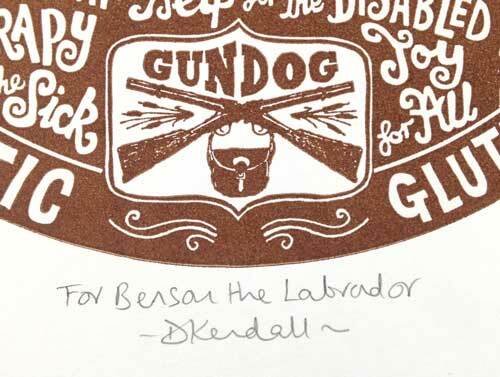 Each one is individually hand-printed on my press in a rich burnt toffee ink, and signed. Just to say the print arrived safely and that it is beautiful, thank you very much. 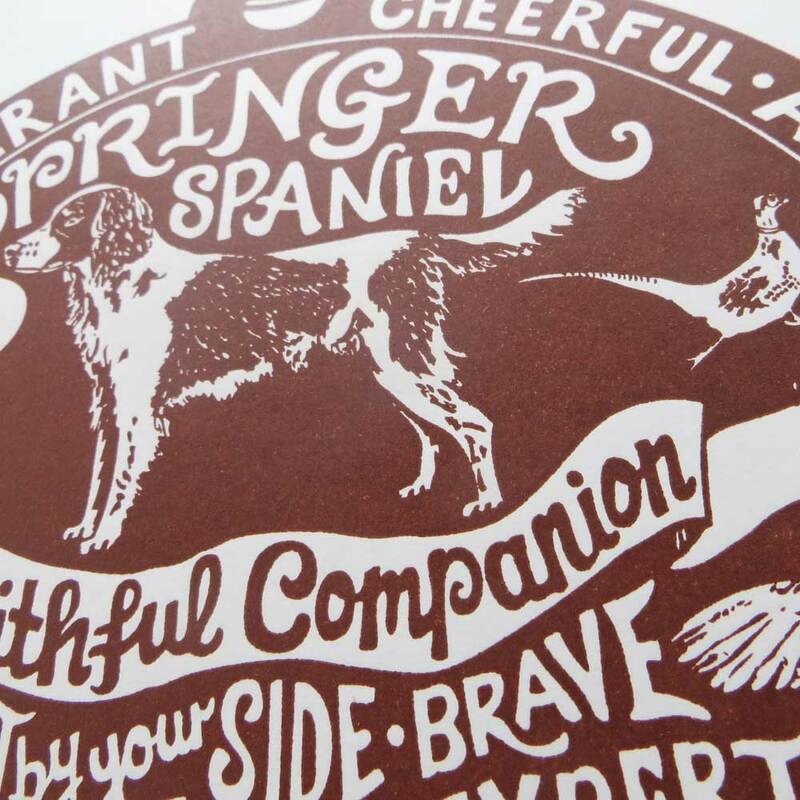 I've had three springers now and your print encapsulates all that is fabulous about the breed. 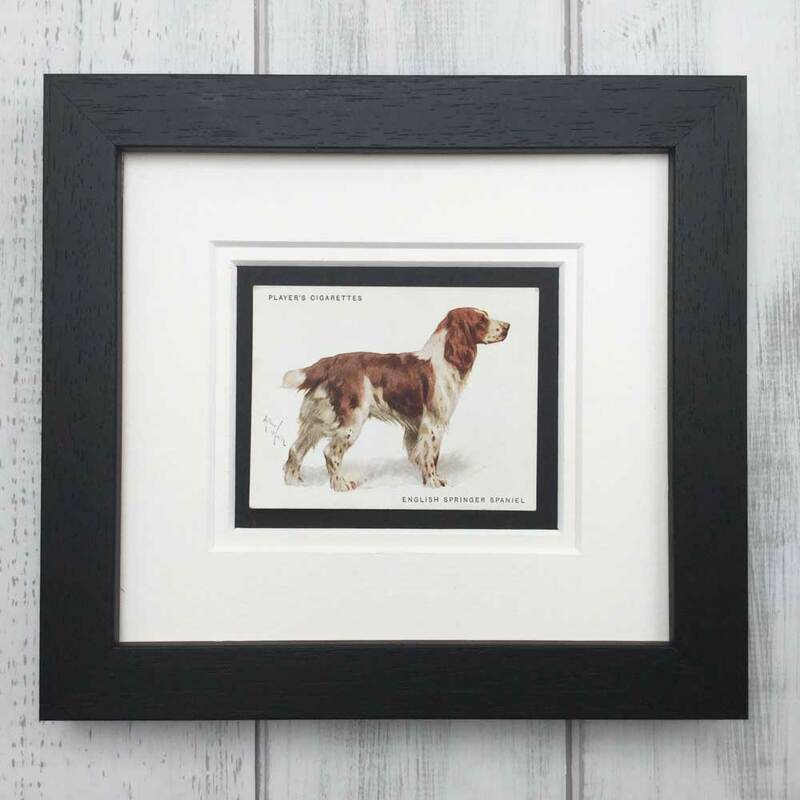 I saw your print in Country Life and your description of a springer was like reading a description of our dog! 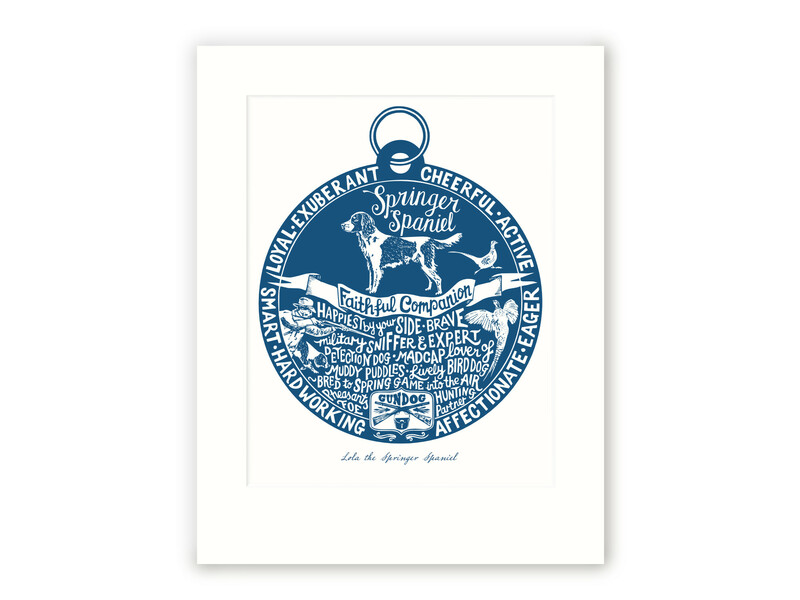 Your print will be given pride of place in our home - Thank you! 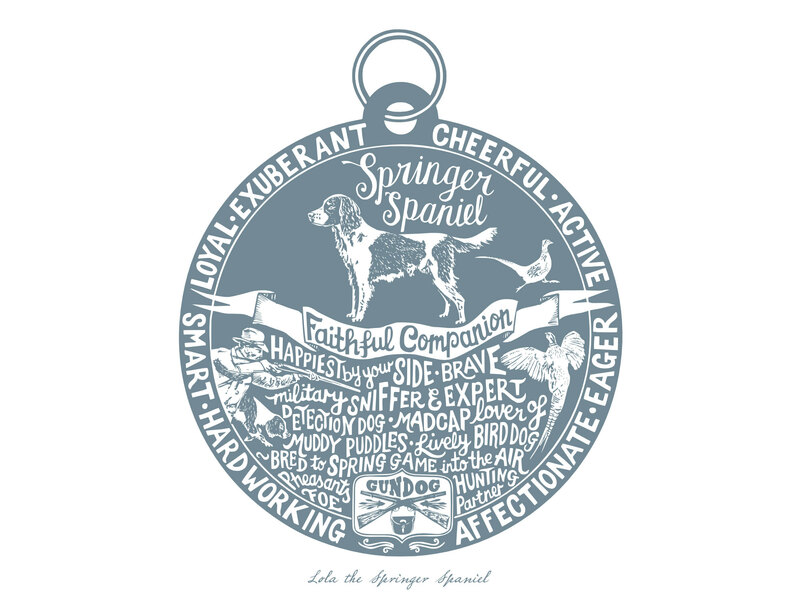 When I talk to Springer Spaniel owners about their dogs, the most frequent word that they use to describe them is ‘mad’! The next thing they talk about is how they just love to be with you, whatever you are doing and wherever you are going. The phrase ‘Velcro Dog’ (as in ‘sticks to you like Velcro’) also cropped up quite frequently. 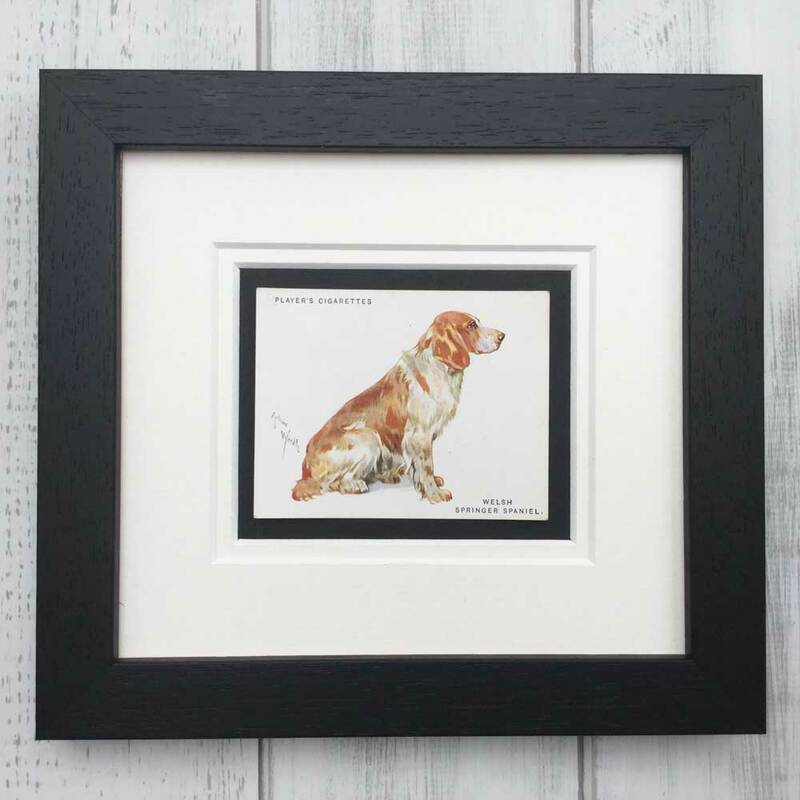 Completely devoted to their owners, it isn’t hard to imagine how the phrase to “follow one around like a spaniel” came into being. 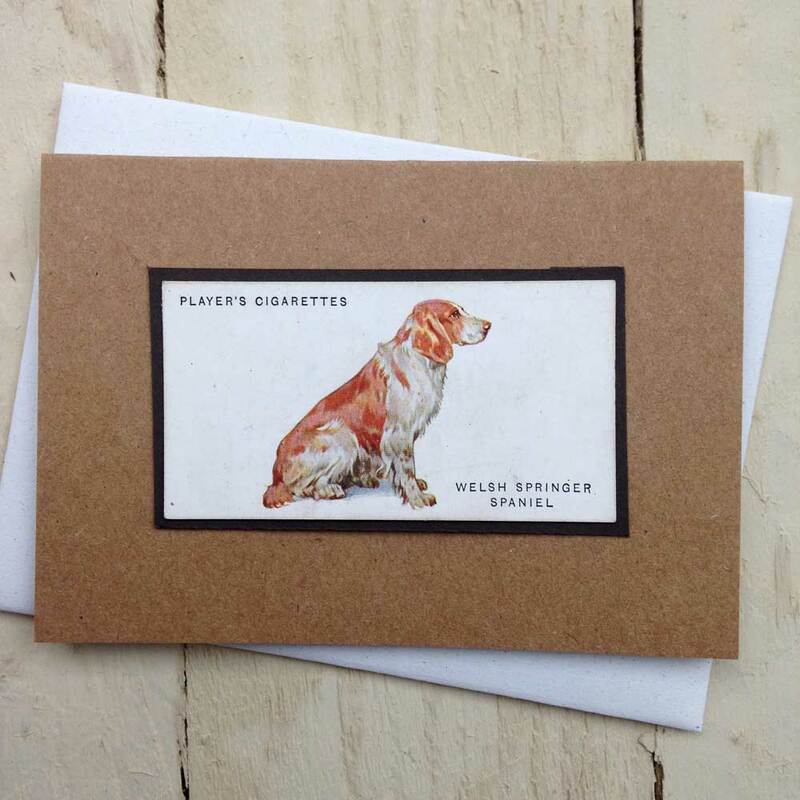 Like the Cockers favoured by the Kennedys and Nixon, Springers are also the choice of American Presidents - this time the Bush family. 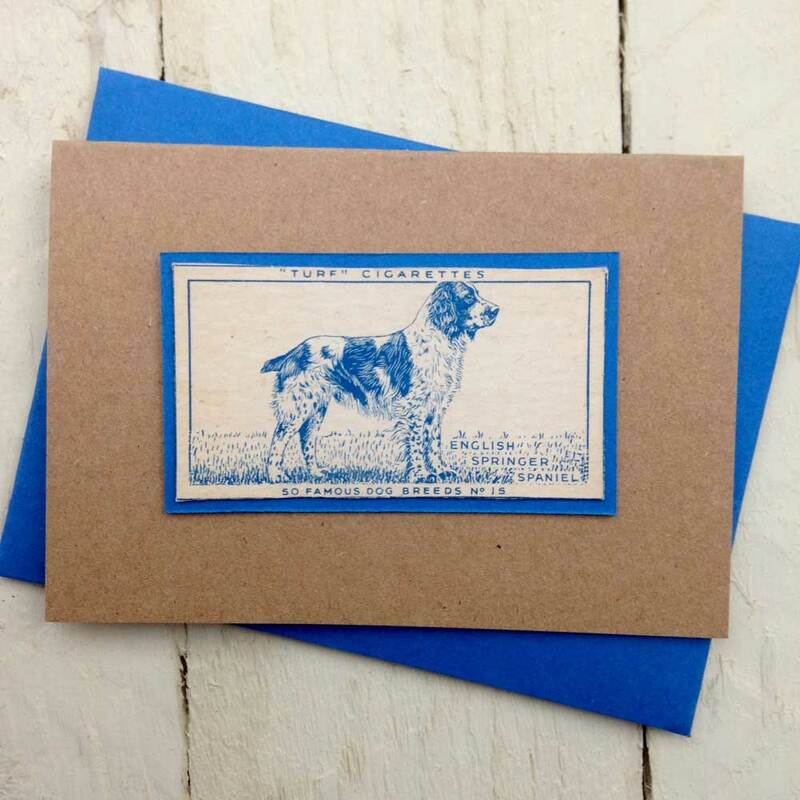 The spaniel is widely assumed to have originated in Spain, with the word “spaniel” thought to be derived from the old French word “Espaignol” meaning “Spanish”. It may have been the Romans who were responsible for bringing these ‘Dogs of Spain’ to other parts of Europe. 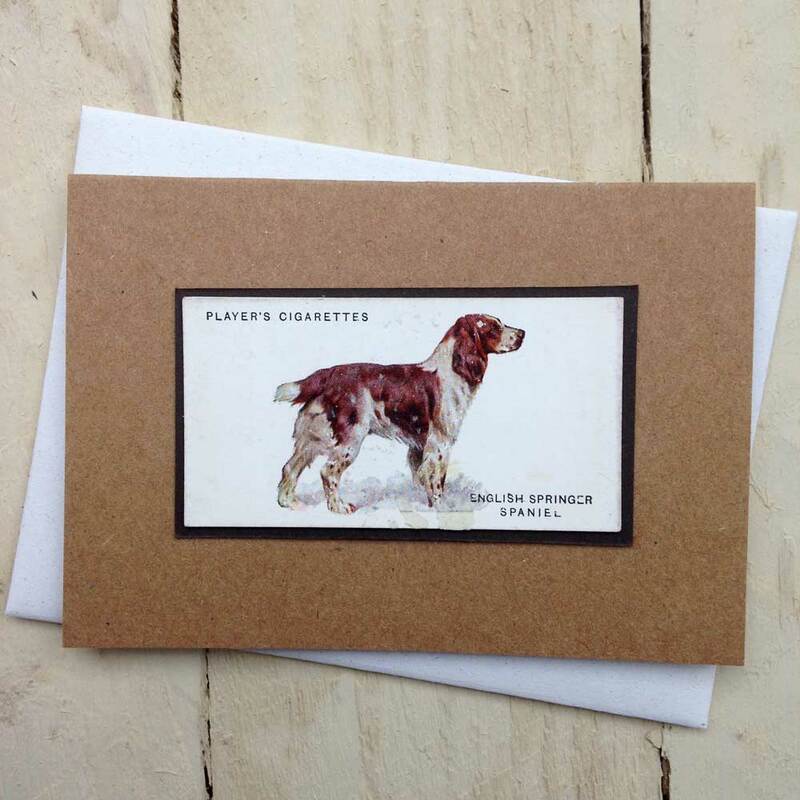 However another theory suggests that the name “spaniel” may come from the French verb “espanir” meaning “to crouch or flatten” (which describes a style of hunting involving crouching and springing). They are extraordinary sniffer dogs and have been credited with saving countless lives in service due to their ability to detect bombs, explosives and weapons. They can also sniff out drugs, contraband mobile phones in prisons, bumble bee nests or illegal immigrants!